I ROCK marketing, technology, innovation & entrepreneurship. Greg is an entrepreneur based in Baltimore, MD. He serves as Chairman & Co-Founder of Betamore, Managing Member of the Baltimore Angels, and is an active advisor and investor to several companies in the mid-atlantic region. In 2001, Greg started and scaled, with no outside capital, Blue Sky Factory, a leading email marketing service provider, that was acquired by the private equity firm, Riverside Company in July of 2011. Rock your brand into the future. Greg excels at the intersection of marketing, technology, communications and innovation. He offers a variety of consulting services on a case by case basis. He loves to work with passionate teams who want to grow and succeed, but only consults in a situation where he knows he can move the needle for his client. He has helped many brands get to the next level and supercharge their digital & offline marketing with a strategic approach to planning and implementation. If you have a brand or marketing CHALLENGE, Feel free to DROP GREG A LINE. YOU NEVER KNOW- YOU COULD BE A GOOD FIT FOR MAKING AWESOMENESS HAPPEN TOGETHER! Greg often speaks to audiences from a variety of backgrounds and industries on the topics of entrepreneurship, innovation and economic development. He presents engaging, insightful talks that are tailored to his audience. If you or someone you know is interested in having Greg speak at an event, please reach out to discuss. To see a list of some of Greg's past speaking engagements, click HERE. "Greg's story and his incredible work inspire the audience to lend their talents in being active, contributing members of their community. It doesn't take long to find out what Greg is passionate about and it's contagious." "Greg is everything he says he is, if he wasn’t (because he’s so socially networked) I am sure it would be all over the internet in seconds. Seriously he’s a smart, engaging, entertaining and inspiring presenter who understands how traditional marketing concepts and all the new social media opportunities can work together to create something more powerful than each could ever be on their own. Listening to him makes you want to jump up out of your chair and go do something amazing!" “Greg Cangialosi is the kind of speaker conference organizers get excited about, because he possesses a wonderful mix at the podium: He’s smart, articulate, and engaging as a speaker. What’s more, he gets to know his audience, so he can speak directly to their specific wants and needs. If you are looking for a speaker, hire him now! On second thought… don’t. Because I’d rather keep him for myself! Nucleus Ventures is the LLC through which Greg runs his angel investing and consulting firm. The Baltimore Angels is an angel investor group based in Baltimore, MD. Founded in 2009, its mission is to invest profitably in the regional entrepreneurial ecosystem and advance early stage innovators to the next stage of capital formation. Its vision is to be the most trusted resource for angel capital investment and entrepreneurial mentorship in the Mid-Atlantic. Established in 2012 by the collaborative workings of Greg, Mike Brenner & Sean Lane, Betamore is now an award-winning coworking space, incubator and campus for technology and entrepreneurship. 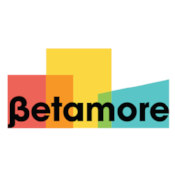 Betamore has been home to 100+ companies that have collectively raised more than $52M in venture capital and in 2015 contributed $13.5M to Baltimore City’s economy. Their mission is to make Baltimore a leading global entrepreneurship destination. Their vision is to be the trusted organization that aligns businesses, government, not-for-profit entities, and centers of education with entrepreneurs who drive creative commercialization. MissionTix is a Baltimore based online ticketing service catering to promoters, venues and festivals. On MissionTix.com you can purchase tickets to upcoming shows, workshops, films, theatres or any other entertainment outlet. Since 2001, MissionTix has been offering quick and easy sign up, and reliable service. Want to know more about what Greg is up to? Fill out the form below to subscribe to Greg's updates.